Next Chapter Event planned for the 12th of September @Microsoft Zaventem. As we want to have different type of meeting and also covering all the aspects of project management. This Chapter event will be driven by the technical skills and project management software usage. 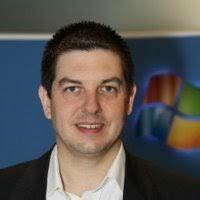 Vincent Capitaine (Global Black Belt MS Project), our keynote speaker for the event, will present the BEST PRACTICES AND PRACTICAL CASES OF MS PROJECT USAGE as we understood from members they also expect receiving tips & tricks on the good usage of project management tools. Agilité Personnelle : le Scrum de 1 aurait-il du sens ? ou vaudrait-il mieux développer un Manifeste d’Agilité Personnelle ?